Our 300 specialists, spread over the main European airports, are at your service every day. Τhe Ziegler Group operates as an IATA agent, using the most modern ground installations. 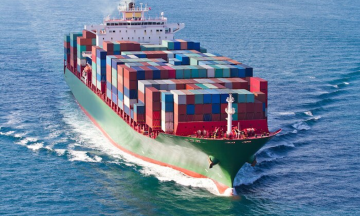 The ZIEGLER Group is present in Antwerp, Zeebrugge, Rotterdam, Le Havre, Marseilles, Bordeaux, Rouen, Dover, Felixstowe, Hamburg and Bremen but also in international ports like China. Ziegler Hellas SA is a 3PL service provider for the supply , distribution of products and we offer modular solutions adapted to your products. The ZIEGLER Group is amongst the European leaders in the multimodal transport organization (road haulage, airfreight, seafreight) and logistics with more than 3240 staff members, 120 operational sites, 930.000 m² of warehouses and an invoicing figure of 1.280 billion € (2015). Beyond the Benelux, the ZIEGLER Group has been developing its activities in France, Switzerland, Germany, the UK, as well as Ireland, Poland, Greece, Tunisia, Morocco, South Africa and China. But next to its own sites, ZIEGLER covers the whole world thanks to a powerful exclusive agents network, which spreads the ZIEGLER know-how all over the world. Cooperating with companies which carry out complementary and consistent activities has let ZIEGLER to become a strong organization. The Group offers a global product range, covering the whole logistics chain. 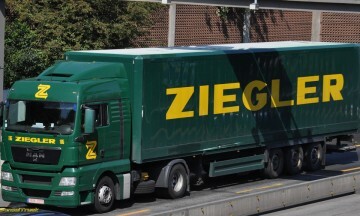 ZIEGLER, an entirely European Group, is based in Brussels, the capital of Europe. Strategic decisions are made in Brussels, while caring for the consistency in the whole Group. the same professionalism and the same passion, shared by all the members of the Group. Poseidonos Av. & 2 Megistis Str. Ziegler Hellas S.A. All RIGHTS RESERVED.